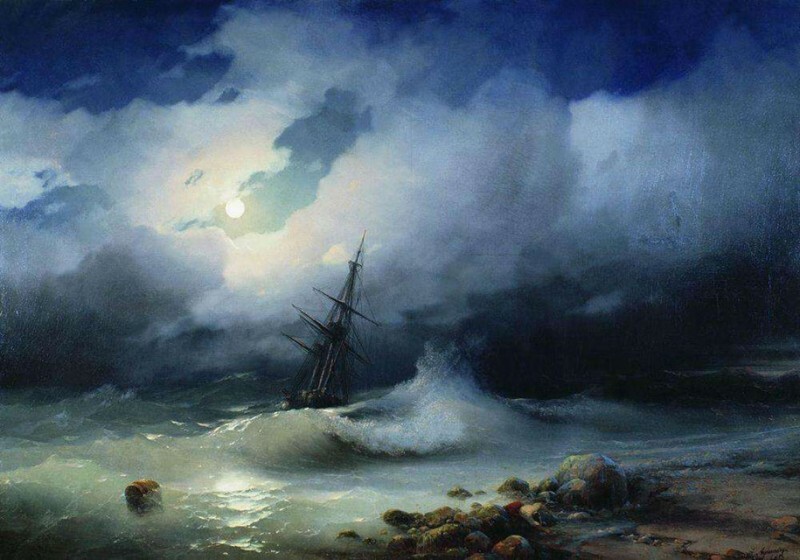 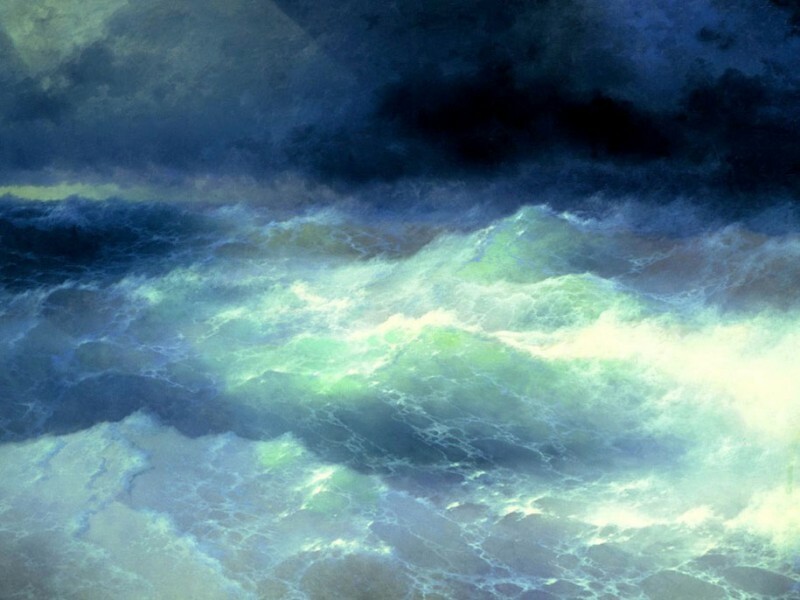 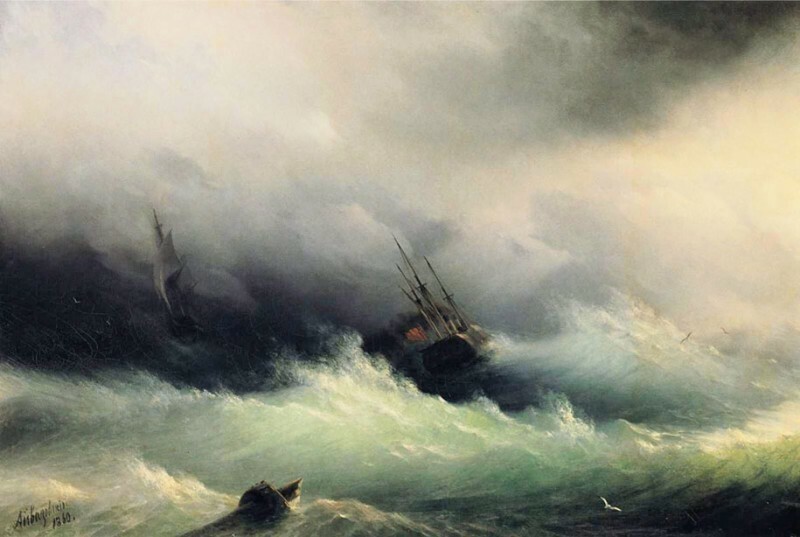 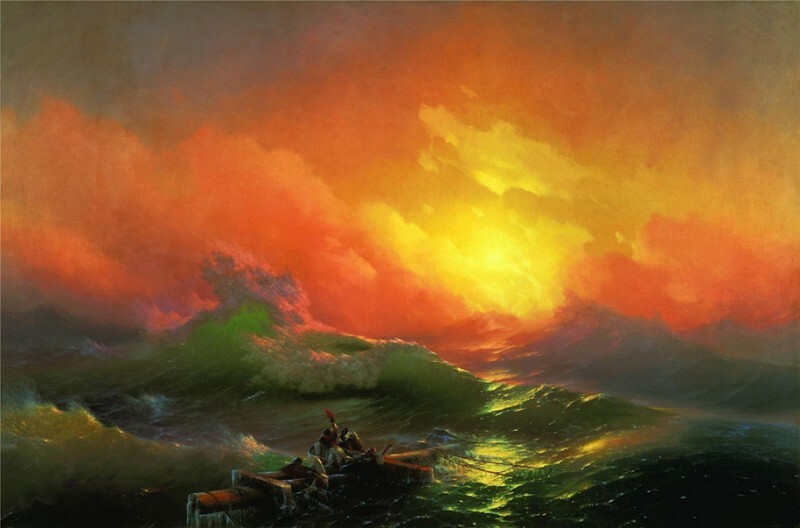 Ivan Konstantinovich Aivazovsky，a 19th century Armenian-Russian painter, created these amazingly impressive paintings of seascapes that feature translucency and texture of waves. 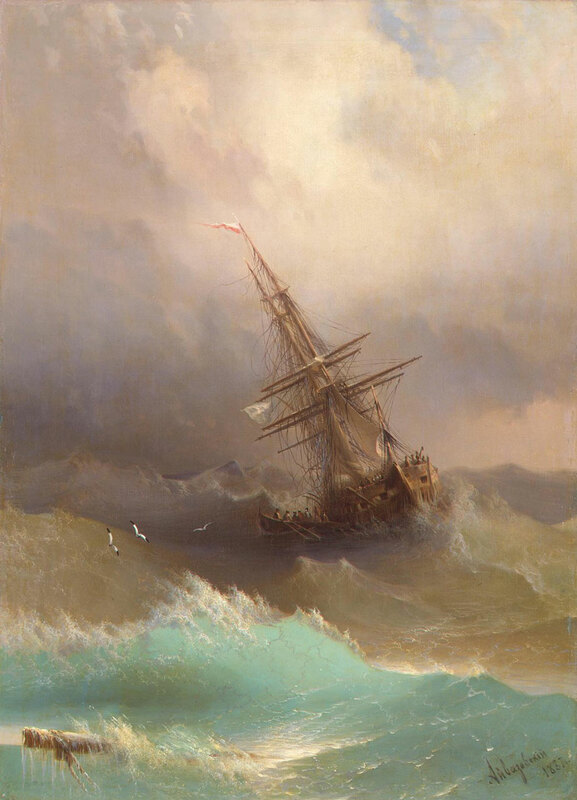 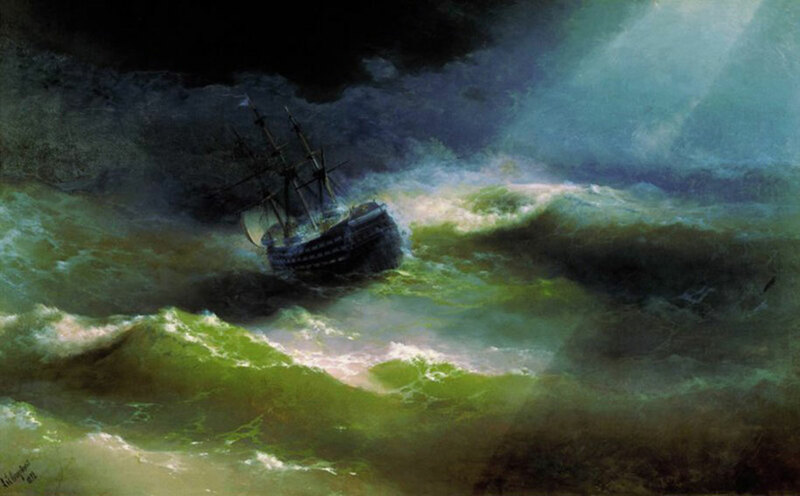 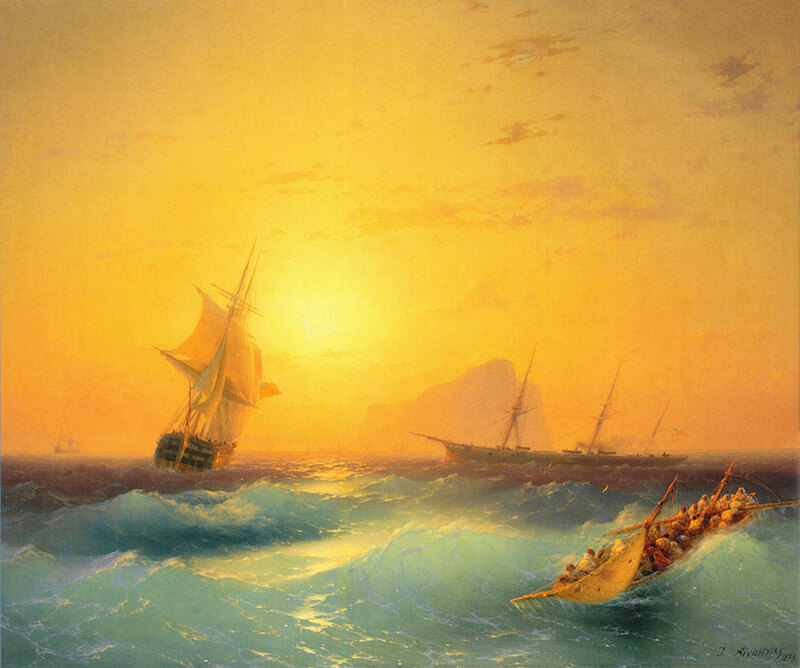 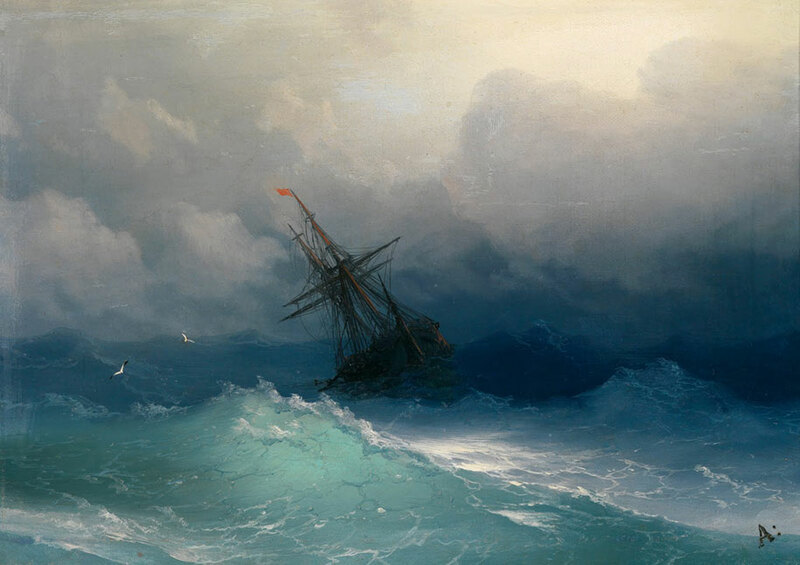 As a prolific artist, Ivan Konstantinovich Aivazovsky created more than 6000 paintings during his lifetime, over half of them are to the subject of ships and the sea. 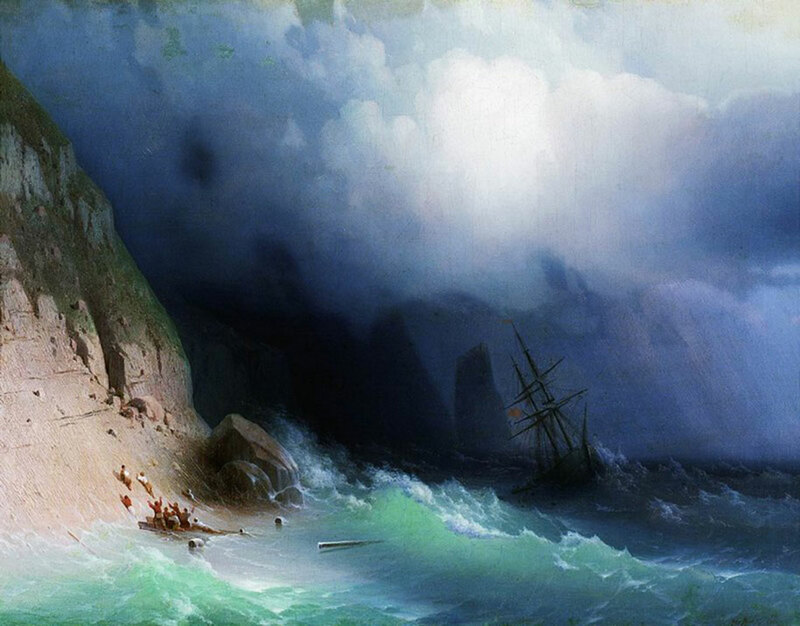 The marine artist was born in Feodosia, a port town in Crimea, he’s well known in Russia and abroad for his stunning oceans paintings and became the first non-French person awarded the Legion of Honor.